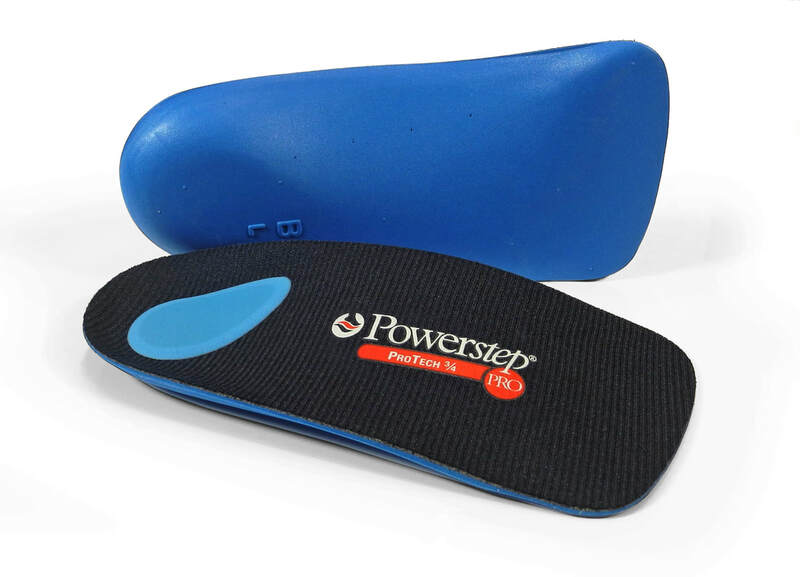 We provide several varieties of low cost medical grade insoles with built-in arch support and heel cradle. 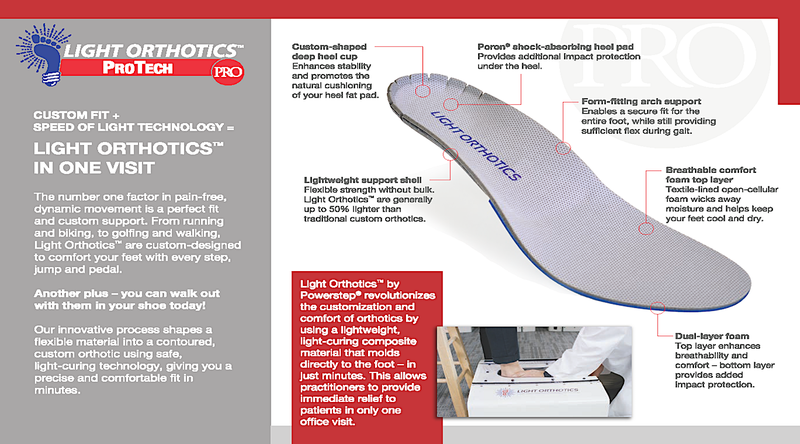 Each orthotic insole helps to alleviate discomfort from foot conditions while providing the perfect balance for support and comfort. 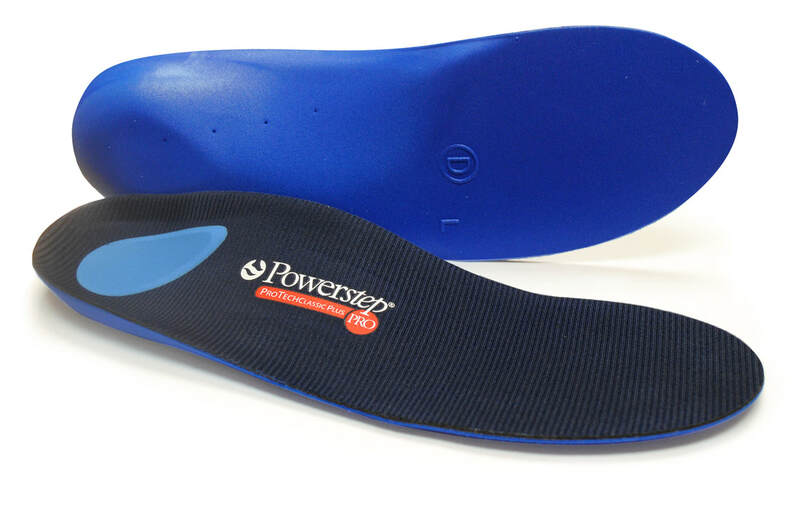 Available exclusively through our clinic as an authorized Powerstep Protech provider. Please give our office a call for pricing options. Walk-ins are welcome. Moderate cushioning. Full support. Versatile to fit in a variety of shoes at 3/4 the size. Semi-rigid arch support and heel cradle. 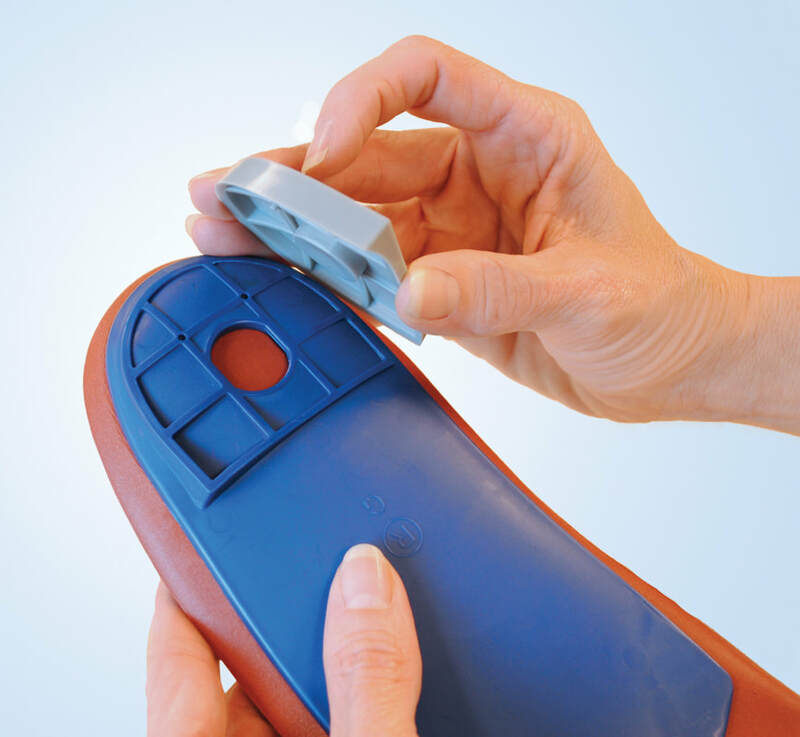 PORON® Cushion heel pad cushion for increased comfort and protection. Firmer, medical grade support shell. Includes two sets of snap-on heels, one set for heel posting and one set for heel heights.